More band members and friends are listed at the bottom of this page. 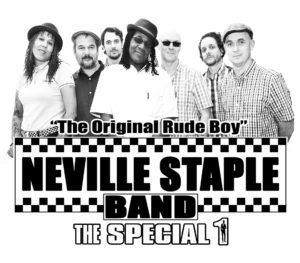 Neville Staple: Lead Vocals & Original Rudeboy! 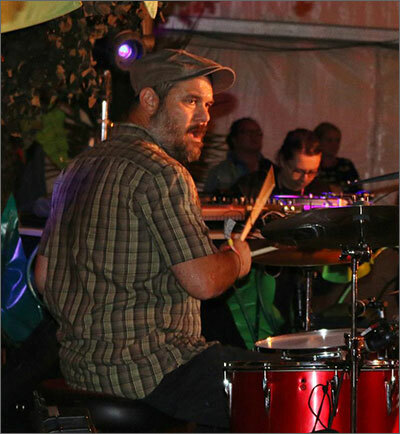 From Bath in Somerset,Matty Bane has been playing drums for over 30 years, currently playing Premier drums. 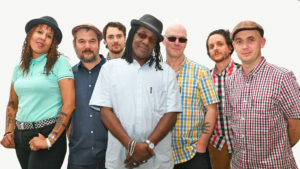 He first toured with Neville as part of the Special Beat tour of Japan and Australia in 2005 and has been part of the Neville Staple band for 7 years and has drummed on 2 of Neville’s albums. 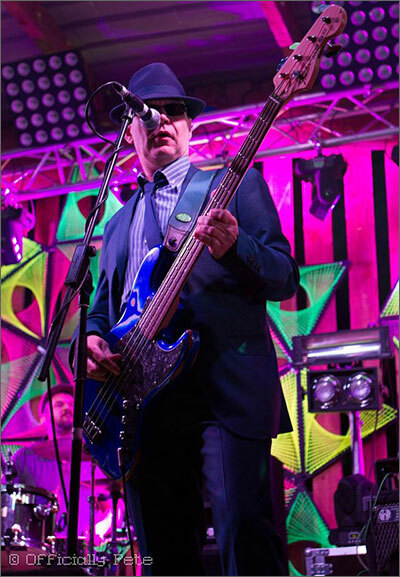 Matty has played with Bad Manners for over 10 years and also toured with a host of other Artists including Max Splodge, Eddie Tudor-Pole, John Otway and Paul Foxes Ruts. Matty also has his own Band in Bristol called The Transpersonals and likes trains, real ale and conspiracy theories. Took up guitar at the age of 12 and started playing bass at the age of 18. Influences . Sting, Stanley Clark and Geddy Lee. 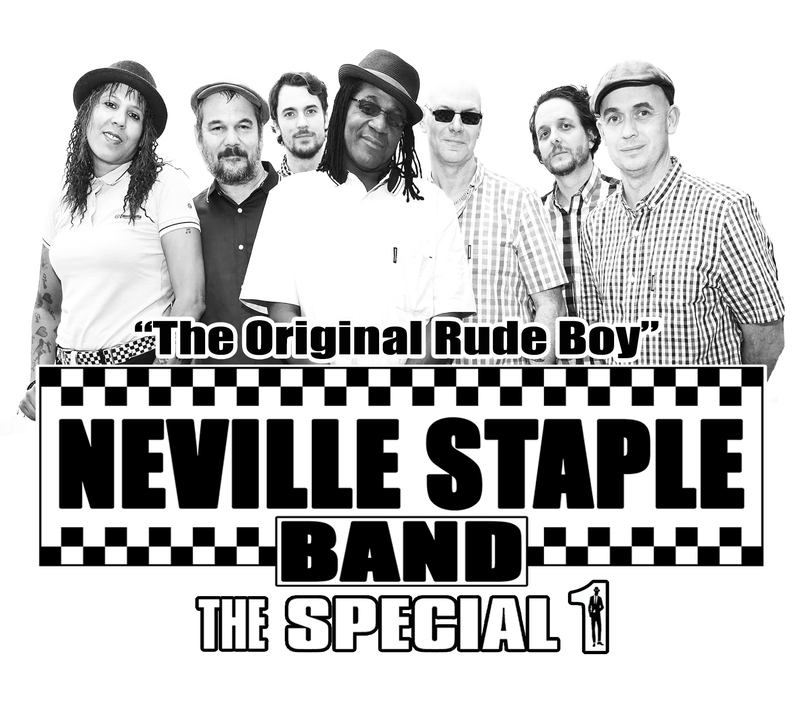 Joined The Neville Staple Band in 2005 and co-wrote several tracks from the last Album SKA crazy. 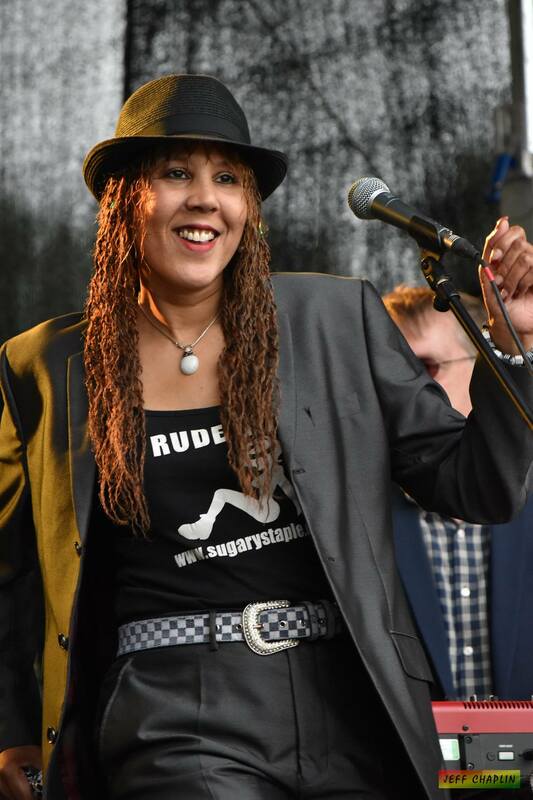 Previous band experience includes Bad manners, Special Beat, The Beat and The Selecter. 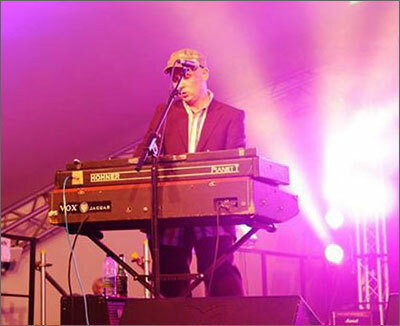 Joe has been playing organ and piano with Neville since 2003. He also takes on backing vocals duties and a bit of harmonica. He loves vintage keyboards (Vox Jaguar, Elka x-55,Hohner Pianet) but is usually seen onstage with his trusty Roland VK7 organ. 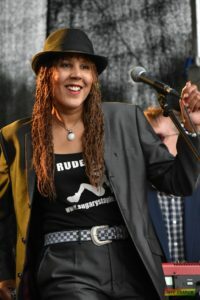 As well as the Neville Staple Band, Joe plays for Flipron (who released a single “The Comet Returns” with Neville in 2012) and has also toured with many other acts including Donovan, The Selecter, Chris Jagger and Bad Manners. 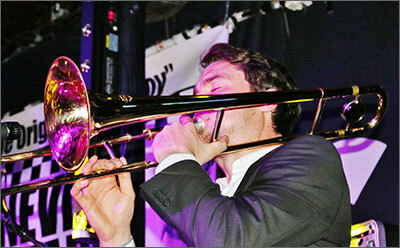 Spencer has been playing the trombone since the age of 6. 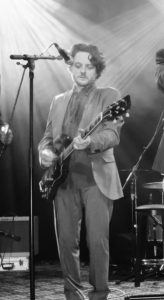 After playing in brass bands up until he was 16, he then moved on to guitar based bands and joined a rock/soul outfit recording on multiple albums and even playing on The Specials 2011 UK arena tour with the same band as one of the support acts. Then going on to play internationally including touring Tokyo, Japan and Europe. Since leaving that outfit in 2015 and now gaining a name for himself, Spencer now plays for bands over multiple genres including reggae, ska, New Orleans style jazz and soul. His most memorable moment so far since branching out is being asked to be the trombone player for the Neville Staple Band! Singer, Songwriter, guitarists who is also frontman of Flipron (who released a single “The Comet Returns” with Neville in 2012), alongside Joe Atkinson. Regular Deps, Recording Musicians & other Neville Staple Band studio buddies.